1. CAILYN Cosmetics Dizzolv'it Makeup Melt Cleansing Balm - 100ml -- This product does just what it implies in the name; it truly dissolves makeup and it does so quickly. It's a unique silky texture that feels nice on the skin. BUT, and this is a big but (hence the all caps), it got in my eyes and made my vision blurry for several minutes. That just wasn't going to work for me. I used it a few times and actually threw out the rest, which I rarely do. 2. theBalm® cosmetics Stainiac -- This is handy for those days you don't want to wear makeup but want a little color. But I think it's a little too much color if you're in gym clothes...if that makes sense. I like that it's a stain instead of a balm, because some days I just don't want to feel like I'm wearing anything on my face. This is not something I would purchase, but I'll definitely use the rest of the sample. 3. amika Perk Up Dry Shampoo -- Another spray dry shampoo that isn't sticky, hallelujah! It smells great, doesn't leave a residue and boosts volume-- all things I love in a dry shampoo. And bonus, how fun is the packaging? My only complaint is, like with most spray dry shampoos, it runs out quickly. With powders, you're not spraying any excess into the air and you can really target it where needed most. But if you really love a spray, I think psssst! Instant Dry Shampoo works better, and it's much cheaper. 4. Harvey Prince Ageless Body Cream -- Since I'm completely devoted to Jergens Natural Glow as my daily body lotion, I only use other lotions on my hands. This was a little greasy for me and the scent was not my favorite; the best way I can describe it is an overpowering watermelon scent. 5. Marcelle BB Cream Golden Glow -- I saved the best for last! Love this! I'm not sure I noticed all that much of a golden tint, but that didn't bother me in the least. 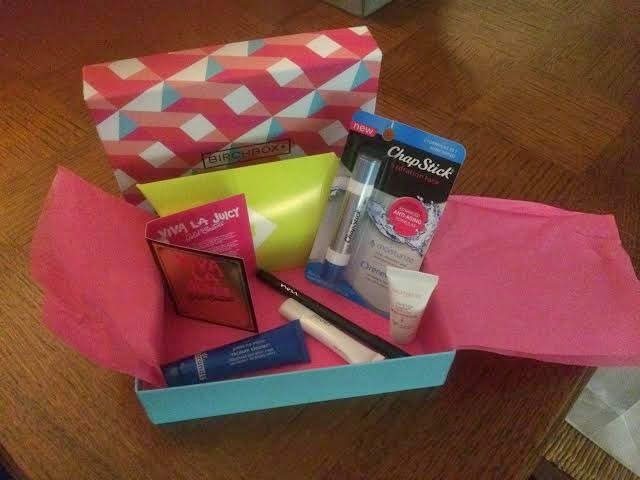 This gave nice, light coverage without thickness or greasy-ness. My number one requirement in a BB cream is that doesn't become oily throughout the day, and this definitely excelled in that area. And going a step further, if I can't feel it on my face (the case with this product), that's a home run! I will definitely consider purchasing the full-size product. 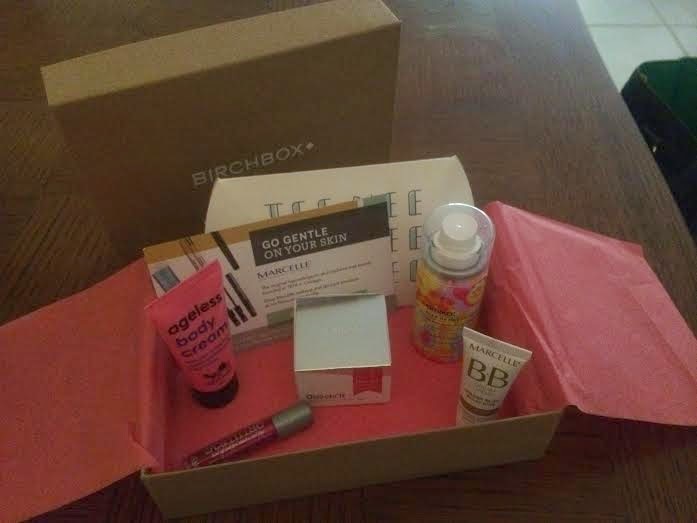 September Birchbox review coming soon- excited about several of these products!